The lymphatic system is part of the vascular system is actively involved in metabolism. Lymph is the janitor of the body, every second it filters the blood, removing from it foreign particles. Unlike the circulatory system which has a powerful pump, the heart, lymph moves due to the movement of the muscles and skeleton. Lymph, like other organs, requires periodic cleaning, but the cleaning of it is recommended after cleansing the liver, intestines, kidneys, getting rid of salts. To cleanse the lymphatic system, prepare the following composition. Take 330 grams of grated on a fine grater beets and carrots, 130 grams grated black radish, honey and vodka. All components mix thoroughly and put in a quart jar, which place in the fridge for 10 days. Every day shake the jar. Then strain and press out the composition. Take after eating 1 tablespoon, until the end. Before receiving the above-mentioned composition while it is brewing, to the best of his assimilation, it is useful to drink an infusion of the roots of elecampane. 1 tablespoon crushed roots elecampane put in a thermos and pour a Cup of boiling water. Insist 2 hours, then strain. Drink a third Cup three times a day half an hour before a meal. After cleansing the lymph beet-carrot-reechnym composition is useful to drink an infusion of thyme, which promotes more rapid excretion of the decay products. 1 teaspoon thyme brew Cup boiling water, insist 2 hours in a warm place and take a third Cup 3 times a day before meals. 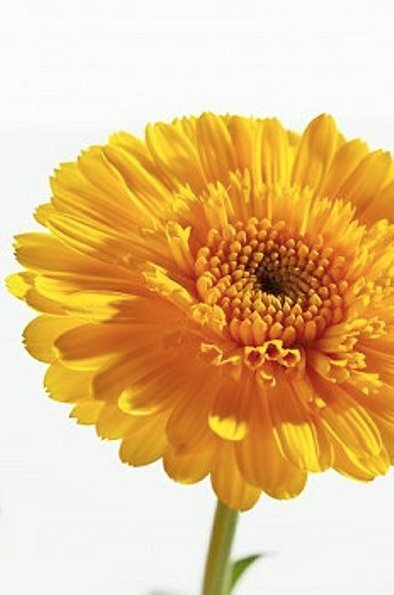 Calendula officinalis has long been considered a folk remedy for cleansing the blood and lymph. In combination with tansy is a powerful cleaning agent. Take 2 teaspoons of calendula flower clusters, 1 tablespoon flower baskets tansy pour a glass of boiling water and leave for half an hour, then strain. Drink during the day equal portions. You should know that more often than colds, inflammatory diseases, boils and styes, acne, the greater the need to cleanse the lymph. During the purification of lymph is not recommended to take in foods: honey, grapes, jam, sugar, ice cream, candy, herring, animal fat, smoked, spicy, alcohol. It is useful to introduce in the diet: dairy products, especially sour milk, fish, chicken, vegetable soups, rice, oatmeal, buckwheat, soy, garlic, carrots and cabbage.